ESA astronaut Alexander Gerst recently tweeted that the first 10 days of the Horizons mission have been some of the busiest of his life. But what has been happening at the International Space Station and what might it mean back here on Earth? We share the highlights from Alexander’s second stint aboard a laboratory like no other. In just over two weeks since the Soyuz launched from the Baikonur Cosmodrome in Kazakhstan, Alex has supported a space walk, started testing how the human nervous system is affected by gravity, deployed new passive radiation detectors in ESA’s Columbus module, and helped prepare the Electro Magnetic Levitator (EML) to better understand the properties of liquid metallic alloys. Phew! That is a lot, but it is not all that is underway. As we focus on Alexander and the European-led science, you can find even more in the daily accounts of all Space Station astronaut activity over on the NASA blog. Getting suited and booted and stepping out into space is a big deal for any Space Station astronaut – even for veterans like NASA’s Drew Feustel and Ricky Arnold. But it is not just a matter of opening the hatch, every spacewalk is a team effort. 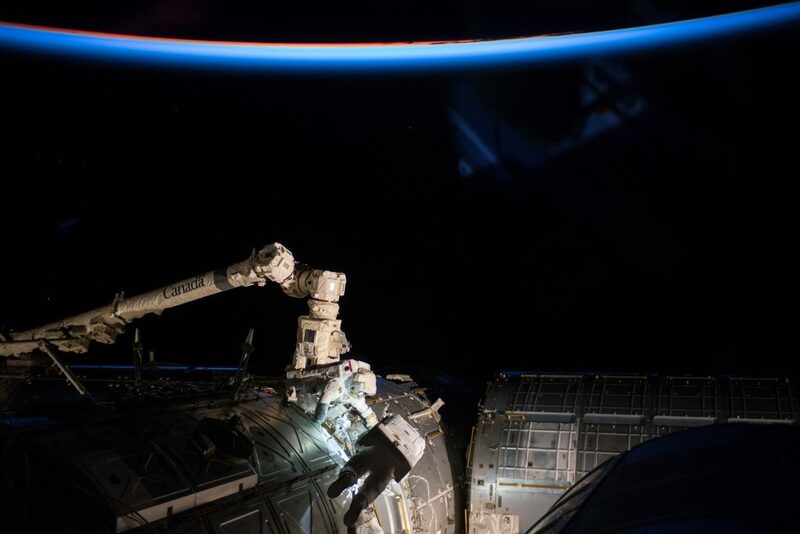 In fact, ESA astronauts Alexander Gerst and Andreas Mogensen both played a vital role in the spacewalk on 14 June, lending a hand up in space and from the ground. The purpose of the spacewalk was to install two new high-definition cameras, which will allow the International Space Station crew to monitor the arrival of spacecraft and intervene if problems arise. The astronauts also exchanged a camera and carried out work on an imaging experiment stationed outside the Japanese Kibo module. Having been heavily involved in developing, planning and simulating the spacewalk underwater on Earth, Andreas was stationed at NASA’s Johnson Space Center in Houston, USA, where he kept constant radio contact to advise the two NASA astronauts as needed. Meanwhile, Alexander worked with NASA astronaut Serena Auñón-Chancellor to operate the Station’s Canadarm2 robotic arm to move Drew and Ricky to and from the worksite. You can read even more about the spacewalk in this blog post. Here on Earth, we tend to take gravity and its impact for granted. Up in space, it is a whole different story. The European-led GRIP experiment aims to study the effect of long-duration spaceflight on an astronaut’s ability to regulate grip force and the trajectory of their limbs when it comes to manipulating objects and movement on board the Space Station. Alongside this, the Gravitational References for Sensimotor Performance (GRASP) experiment uses virtual reality gear to better understand how the central nervous system integrates information from different sensations, such as sight or hearing, to coordinate hand and eye movement – and if gravity has an impact. You may have seen Alexander looking a bit like X-Men’s Charles Xavier in this tweet from NASA astronaut Ricky Arnold. What he is actually doing is contributing to our understanding of how the human central nervous system controls movement both on the ground and in the microgravity environment of space. 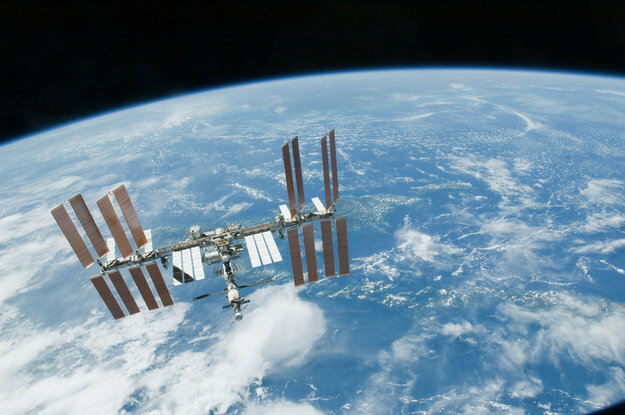 This kind of research could help improve the design of safer space habitats as well as helping patients on Earth with neurological diseases, and the testing will be ongoing. While we are largely protected from cosmic radiation by the atmosphere, astronauts are not quite as lucky. In space, they are continually exposed to varying levels of radiation which could be harmful to their health. That is where the DOSIS-3D experiment comes in. 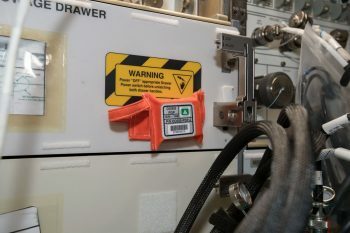 As part of DOSIS-3D, several active and passive detectors measure radiation doses inside the Space Station. You might recall DOSIS-3D from Thomas Pesquet’s mission, and recently Alexander installed a couple of new passive detectors in ESA’s Columbus module. These passive detectors travelled with Alexander and the crew to the orbital outpost on the Soyuz, and the data they collect (in combination with NASA and the Japan Aerospace Exploration Agency (JAXA) data) will help build a concise three-dimensional dose distribution map of all the Space Station segments. This could also prove beneficial to radiation monitoring for commercial and military airline crews, as well as other workers exposed to radiation. We will be sure to keep you posted. Ich finde es richtig, sinnvoll und notwendig, was Sie tun. Hätte ich die Möglichkeit gehabt, hätte ich so etwas ähnliches auch gern gemacht. Aber da war nur fiction, in der Wirklichkeit rein gar nichts, für Männer nichts und für Frauen null. Sie sind als 5ter „Kraftwerker“ am letzten Freitag sehr beeindruckend gewesen: eine tolle Rede an uns Stuttgarter Konzertbesucher, ein ebenso toller musikalischer Beitrag und vor allem eine gelungene Riesenüberraschung. Herzlichen Glückwunsch! Ich schaue jeden Abend begeitert in den Himmel (und winke manchmal), wenn die ISS über unser Haus in Leonberg saust.